After some years as an Economic consultant, working particularly on Aid and development programmes in Africa and Asia, Peter went into the City as a financial analyst specialising in investment in Energy and was made a Partner of a leading City firm. Peter was elected to Parliament in 1983, became a Treasury Minister in 1987, joined Mrs Thatcher’s cabinet in 1990 as Secretary of State for Trade and Industry and became Secretary of State for Social Security under John Major, where he launched a radical programme successfully to curb its £100 billion budget and to ensure everyone acquired a funded pension. Peter was Shadow Chancellor, then Deputy Leader of the Conservative Party, responsible for Policy Renewal until 2000. 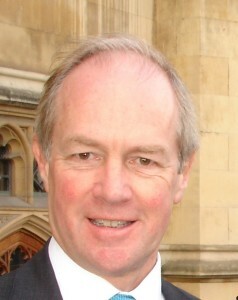 He chaired the joint Commons/Lords Committee on financial legislation following the banking crisis of 2008 and is currently a member of the Select Committee on Exiting the EU. Peter serves on the Boards of a number of companies, is a Trustee of the Parliamentary Contributory Pension Fund and has published on topics ranging from legalising the sale of cannabis to the economics of immigration.